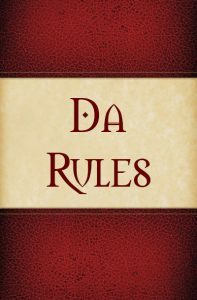 We want everyone at Dakota Game Con to have a great time, but there are some rules we’ll need to follow to ensure it’s a good time for everyone. Dakota Game Con attendees are expected to abide by the rules of the convention, as well as any directions given by the Swiftel Center Staff, and of course, by federal, state, and local laws. Please wear your badge! Your badge serves as your ticket of admission to the convention, and it is a non-transferable and revocable license. Dakota Game Con reserves the right to terminate this license at any time, refund an attendee’s admission, and require that a person leave the premises. Dakota Con Staff may deny you entry to the convention area or may request that you leave if you are without your badge. Please wear it visibly above the waist during the convention. If an attendee loses their badge, it may be replaced at the discression of the Dakota Game Con Staff. The Dakota Game Con Staff reserves the right to refuse any event to be run at the convention or terminate any event in progress, should, in the judgment of Dakota Game Con Staff, said Event is not following policies as outlined hereafter. The Daktoa Game Con Staff will investigate all complaints, and the specific situation will be discussed with the event host(s), prior to any action taken for the event in question, or future events, run by the same event host(s). Event Hosts are encouraged to allow minors in their events. It is the best way to ensure the future of our hobby. However, you can require adult supervision and or deny youth participation if you see it necessary to the function of your particular game. It is the Game Masters discretion. Swiftel Center and Dakota Game Con staff assumes no responsibility for lost or damaged items or possessions, including, but not limited to Dakota Game Con badges or gaming items. The Registration Desk will maintain a lost and found department. If you find or lose any items, please notify registration personnel immediately. Property found on the convention site at the end of the weekend will be returned to the owner if at all possible. The Swiftel Center is a Smoke Free Facility. There will be no smoking allowed in this facility. Swiftel and convention staff will strictly enforce this, and offenders may have their badges revoked and be asked to leave. If you choose to consume alcohol you are personally responsible for your actions and well being. Intoxicated and unruly behavior will not be tolerated. Offenders may have their badges revoked and be escorted from the convention. The Swiftel Center does not allow outside food and drink. The convention staff has worked with them to ensure that there will be food and beverages provided at a reasonible cost. We reserve the right to bar anyone from the convention if we determine that clothing or symbols worn are inappropriate for the convention. Cothing or symbols that depict racial, ethnic, religious, sexist, or otherwise distasteful messages, are prohibited. It is also important to remember that Dakota Game Con is a family event. Determination that a person is wearing such, shall be at the discretion of the Dakota Game Con Staff. Offenders may have their badges revoked and be escorted from the convention. Real weapons are not permitted. Simulated weapons may be permitted in the convention areas, unless the Convention Mangers judge that it can present a hazard to our guests. Active Duty Military, Law Enforcement, Security Police, and Emergency Services are exempt from this policy while carrying weapons in the performance of their official duties. Help keep the convention area clean. There will be trash cans through out the area, please use them for their intended purpose. Attendance at a gaming convention is safe, however we remind parents and guardians that the safety of their children is their responsibility. You also are responsible for the supervision of your minors, as well as for their behavior at the convention site. Minors must be supervised by an adult companion at all times. Thanks for the Great Convention.